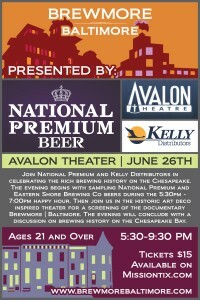 Join National Premium and Kelly Distributors for the presentation of the documentary: Brewmore Baltimore at the Avalon Theater in Easton, MD. The evening will begin with a happy hour 5:30pm – 7:00pm local beers National Premium and Eastern Shore Brewing will be served. 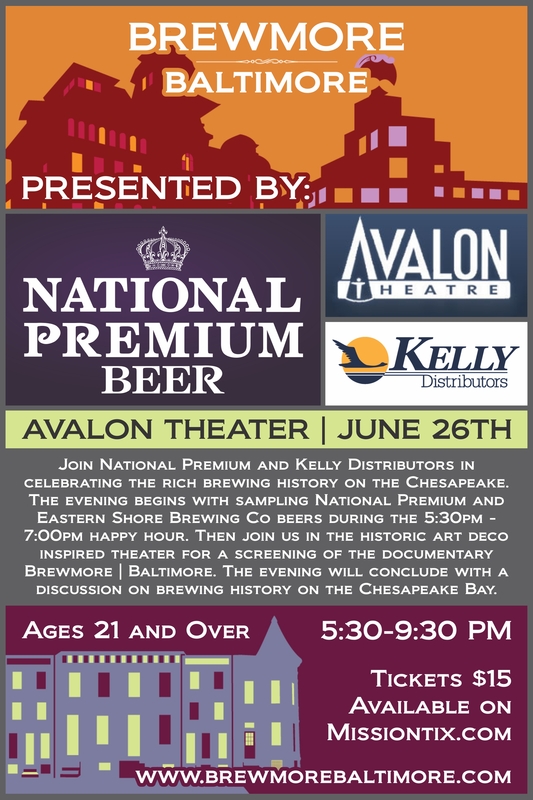 The film will be screened in the historic art deco inspired theater approximately at 7:00pm followed by a discussion on the history of brewing on the Chesapeake Bay. Beer samples are included in price.